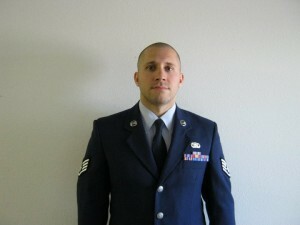 At the age of 18 I enlisted in the United States Air force. Most of my military career was spent in Tucson, AZ where I was stationed for almost six years. I traveled to many state bases for additional training and leadership courses throughout my six year enlistment. In January of 2003, my squadron deployed to the Middle East in support of Operation Iraqi Freedom. We established our base in south eastern Jordan, which borders Iraq to the south west and Israel to the west. We worked directly with the Jordanian military and all the branches of the United States military to overthrow Saddam Hussein’s regime. Arriving back to the states I was awarded an Air Force Commendation Medal, which made me proud knowing I had served my country well. Excellence in all we do—Hansen’s Lawn Care strives for excellence, this ensures that your property will look it’s very best! Once my military career was over, I relocated to the great state of Minnesota. Here I met my beautiful wife Kristi, and we now have a daughter, Savannah Joy. Being a father has been one of the best experiences in my life, and it only gets better with every smile I see on my wife and daughters face. I started my lawn care business with a vision of satisfying customer needs by implementing the Three Core Values. I have taken these values and have adapted them to fit, not only my lifestyle, but my work ethic as well.